On 26th May 2011, after two months of gruelling climbing conditions, Jaysen Arumugum became the first Mauritian to summit Mount Everest. In the process he raised over £10,000 to help the fight against Breast Cancer. Jaysen's cousin, Selina, was diagnosed with breast cancer at the age of only 23 and has been through an extremely traumatic 3 years - and therefore the fight against breast cancer is a cause that is very, very close to his heart. Breast cancer affects one in eight women during their lives. 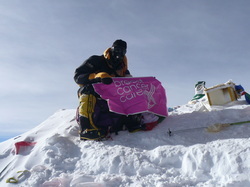 As at August 2011, Jaysen had raised over £10,000 to help women in both the UK and Mauritius. One third of the funds raised through JustGiving went to LinkToLife in Mauritius towards raising awareness and improving the chances of Mauritian women surviving this terrible illness. Jaysen will continue his efforts of raising breast cancer awareness in Mauritius through various talks, collaboration with Link-to-Life, and a documentary produced by the MBC. 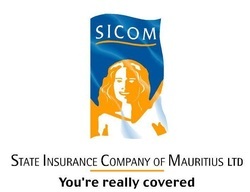 He will continue his efforts by attempting to raise further funds to enable Link-to-Life to buy a mammogram which will provide much-needed screening facilities for the women of Mauritius. Jaysen Arumugum is a Mauritian with ambition. 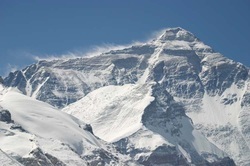 He aspires to be the first of his nation to climb the highest peak on each continent - the Seven Summits. He has now succeeded in climbing six of the peaks, including Kilimanjaro, Elbrus, Kosciusko, Aconcagua, Denali, and in 2011 the biggest of them all – Mount Everest.